Born southern England in 1956, John Pardey entered an architect’s office in 1973. He studied at the South Bank Polytechnic gaining a degree in 1981 and subsequently at the Polytechnic of Central London, graduating with Distinction as well as gaining the Bannister Fletcher Dissertation Prize in 1983. In 1988 he established John Pardey Architects and the practice has gained several national and international competition awards. The practice’s work has been exhibited widely and has been featured on national television. He has taught at the South Bank, PCL, Canterbury and Portsmouth Schools of Architecture and is currently visiting lecturer at the University of Southampton and post-graduate external examiner at Cardiff and Oxford Brookes universities. John Pardey regularly contributes to the architectural press and has written for the Architects’ Journal, Building Design, Architecture Today and RIBA Journal. He is the author of ‘Utzon: Two houses on Majorca’, published by Editions Bløndal in 2005, and Beyond Louisiana: The Work of Vilhelm Wohlert to be published in 2006. In January 2009, John Pardey was appointed to the National Design Review Panel of CABE. 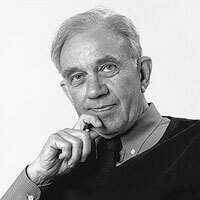 (27 May 1920 – 10 May 2007) was a Danish architect. Wohlert was educated at the Royal Danish Academy of Fine Arts’ School of Architecture, where one of his teachers was Kaare Klint. In 1958 he and his partner Jørgen Bo started work on the Louisiana Museum of Modern Art, a project on which they would work for the next 33 years. They were also responsible for the Bochum Museum of Art, as well as the Gustav Lübcke Museum in Hamm, both in Germany. Another major part of Wohlert’s work was on Danish churches. He thus designed Stengård Church and worked on the restoration of both the Lutheran and Catholic cathedrals of Copenhagen: the Church of Our Lady and St. Ansgar’s Church. He also designed the mausoleum of King Frederick IX at Roskilde Cathedral. (…)it is also an intensely personal work. The emphasis on working drawings conveys the author’s delight in Wohlert’s draughtsmanship and approach to design. The commentary has the easy warmth of someone entirely at ease with their subject – a rarity in architectural critique. 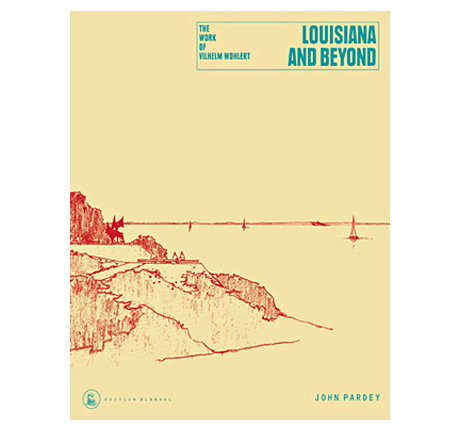 Wohlert was clearly an outstanding architect, but it is the affinity between the author and subject which makes Louisiana and Beyond and outstanding book. The book opens up the work of two architects who are maters of detailing wood and brick, and have an appealing grasp of how to scale a building, both of which form the basis for the renown of Danish architecture and design. Bogen henvender sig bredt til alle, der interesserer sig for dansk arkitektur og design af internationalt format og for dansk museumsvirksomhed. Pardey er engelsk arkitekt, og værket er oversat fra engelsk. Arkitekten Vilhelm Wohlerts navn er nært knyttet til det Louisiana, som han sammen med Jørgen Bo og museets grundlægger Knud W. Jensen skabte gennem en lang periode fra den første fase i 1958. Louisiana blev jo banebrydende med sine gangpartier, der skabte samspil med stedets smukke natur, og sine fine proportioner. Wohlerts særkender er sansen for den håndværksmæssige detalje, en påvirkning fra bl.a. Arts and Crafts bevægelsen, samt det bygningsmæssige udtryk, der har sin baggrund i den japanske inspiration bag de californiske Bay Area arkitekter. Hos Wohlert udvikles dette til et enestående nordisk udtryk. Bogen beskæftiger sig ikke kun med Louisiana men med Wohlerts virke som møbelarkitekt og som skaber af andre enestående huse både her og i udlandet. En fantastisk indsats, der her dokumenteres med begejstring primært baseret på samtaler med Wohlert selv. Heldigvis illustreret med en lang række af Wohlerts egne tegninger, fotos m.v. Værk- og litteraturliste. Wohlerts virke er bl.a. beskrevet i Knud W. Jensens erindringer og Wohlerts egen Streifto men udfoldes først her i værdigt omfang. En statelig og indbydende markering af en af de mest originale indsatser i moderne dansk arkitektur, læselig for alle interesserede.